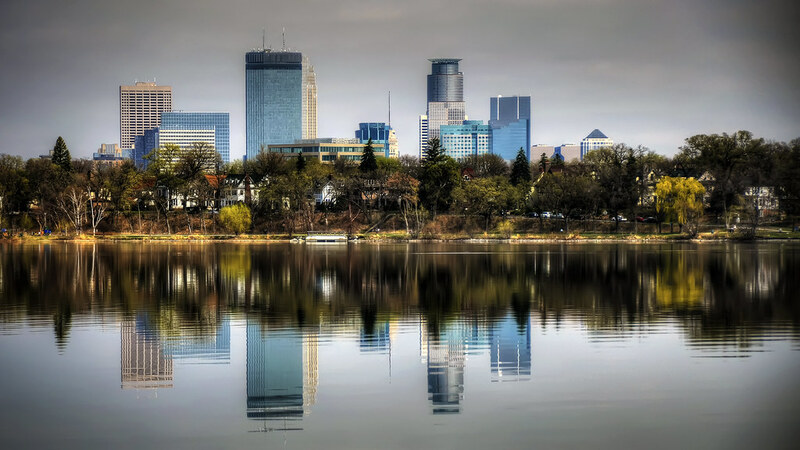 The photographer says: What better place to take a picture of the "City of Lakes" than from across from one of it's finest - Lake Calhoun. On a light foggy afternoon, just after it lifted, the sun was just broke out and I took this shot. Even though we are in late March, the grass was green and the trees were just leafing out. It was a beautiful 65 degree day.